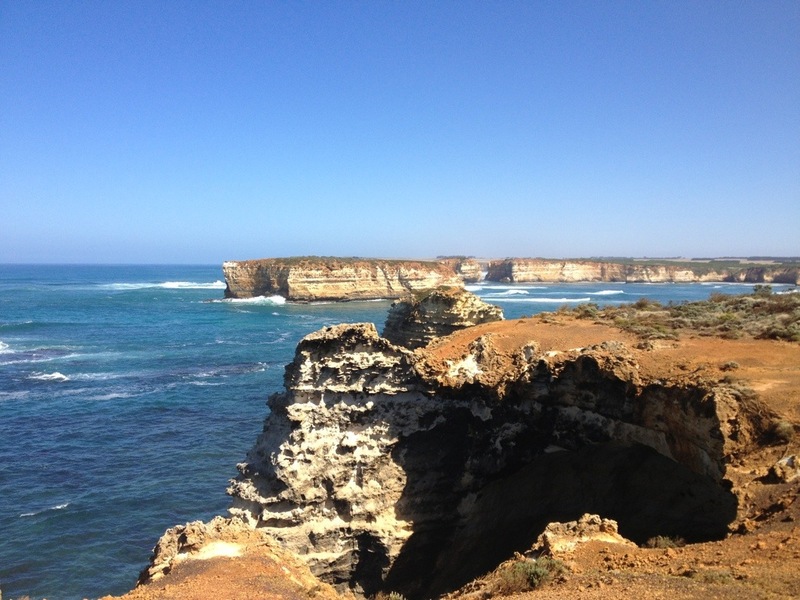 It was about 70 kilometres to Port Campbell, mostly along the Great Ocean Road, onto which we turned a few kilometres out of Warrnambool. Those few kilometres were on the Princes Highway and were not very comfortable for cyclists, with a bumpy, sometimes potholed, narrow shoulder, and plenty of trucks and cars racing along. 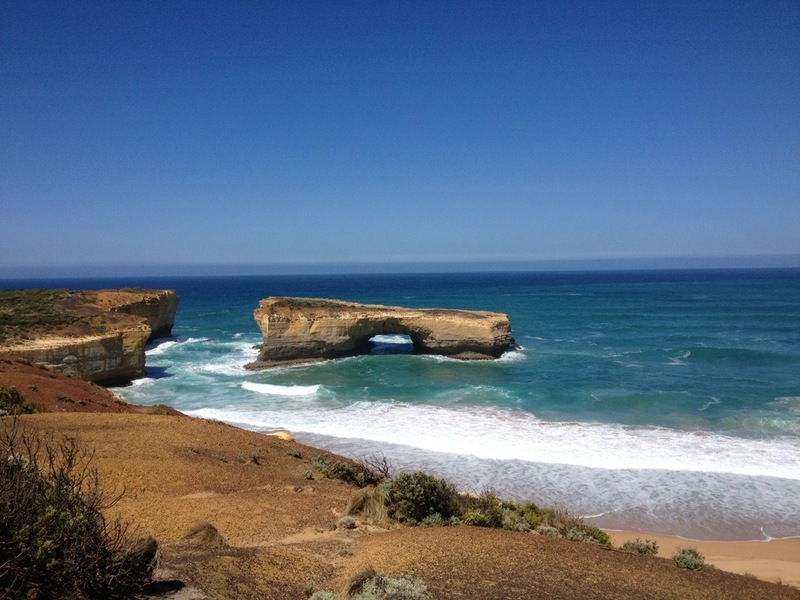 The Great Ocean Road felt much better even though there was less of a shoulder. There was also less traffic and only the very occasional truck. The road was flat with slight descents every now and again as we rode through farmland. We knew the ocean was out there to the right because we could see where the land appeared to drop off and all one could see was sky, but apart from that, the road was like many others we have ridden on. …and while there were lookouts and stops to see the sights, we could see quite a lot of the fabulous coastline as we were riding. There was a bit of climbing to done along the way, but we were rewarded with a fast, curvy descent into Port Campbell. 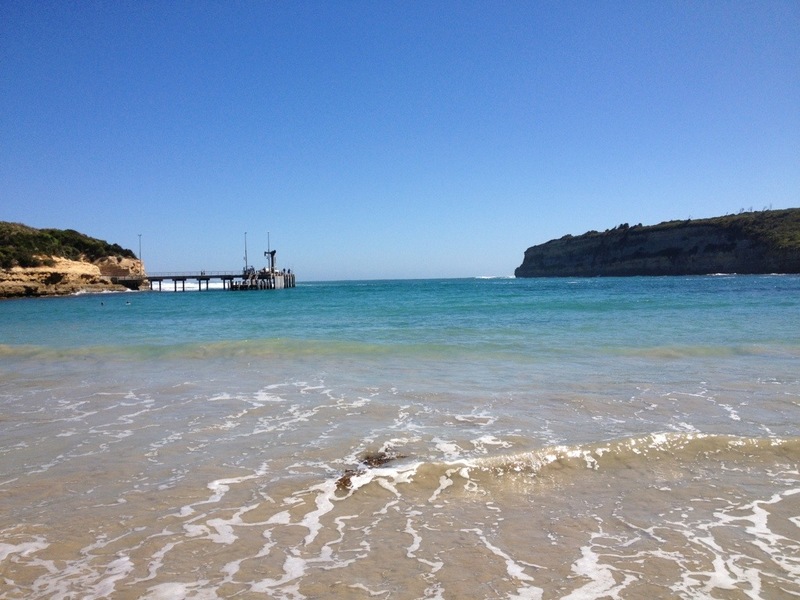 Port Campbell was small and quite touristy with prices to match. It was very pleasant hanging around for the afternoon however, made even better by the arrival of the Stoker’s sister and brother-in-law. We were pleased to note they also engaged in the standard ‘caravan park bickering’ as they endeavoured to set up their tent. 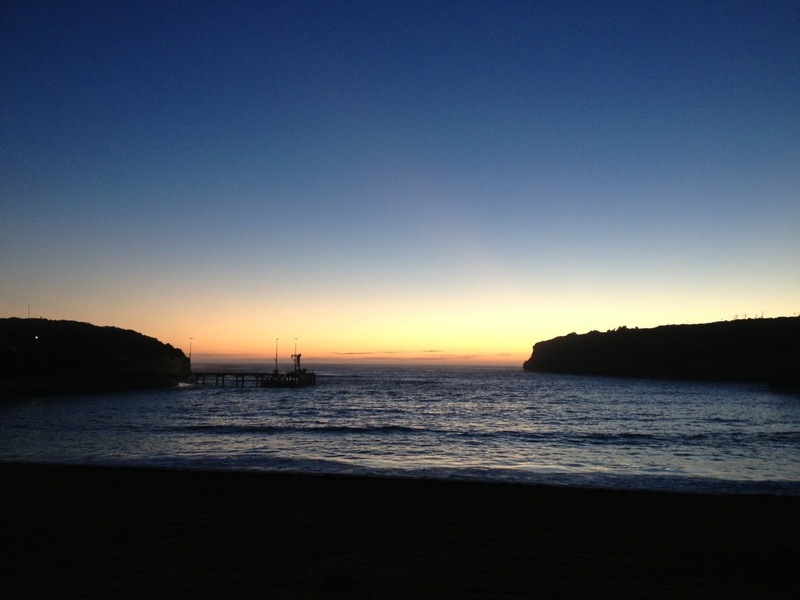 We went to bed after dark and slept well in anticipation of tomorrow’s 96kms to Apollo Bay via Lavers Hill.